How to survive a family vacation? Family vacation... It sounds great, right? But in reality, dealing with over-tired kids and grumpy grown ups often makes you feel like having steam coming out of your ears. Just as a cartoon character! Here are some ideas that will help you survive your next family vacation without losing your mind. Whether you're going on summer holidays or visiting family for Christmas, family vacations are always full of fun, but can definitely be a real challenge at the same time. Well, you enjoy spending more time with your family, but the generation gap, different interests and needs can lead us to situations which seem like a volcano erupting. If you decided to have a stress-free holiday this year, we'll share some practical suggestions to make your next trip a little bit more enjoyable. Although you're spending holidays in the same place, it's likely that each of you has different needs and interests. You want to visit museums or historical attractions, and the others would rather go hiking or cycling. Each of you can have a different purpose of a vacation, so choose a destination that has something for everyone. Try to come to a consensus that can appeal to the majority of family members. Agreeing on a mutual trip goal before leaving ensures that everybody’s on the same page. To avoid conflicts and grumpiness on a vacation, think beforehand about what it is that throws somebody off. Grandpa could be needing adjustment time upon arrival, so it's better to leave him alone for a couple of hours, and your 7-year-old has a motion sickness, and needs to take a nap. Once you arrive, allow everyone to rest a while before starting any kind of communication. Make sure that each person is given the time they need to feel rested and ready for a vacation full of fun. If you’re on a family vacation, you may have fewer opportunities to be alone with your spouse or partner. Many hotel resorts feature kids' clubs where children can spend time learning and making crafts, taking adventure walks and playing games with other children their age. While kids spend time there, parents can sneak off to enjoy a spa treatment, relax by the pool or take that quiet sunset walk along the beach. Does screaming „Hurry! Hurry!“ and arriving at the last minute sound like a familiar scenario to you? Well, you're probably aware that running late causes so much stress and makes things a whole lot worse than they need to be. Set up the rule! Give yourself enough time to get ready. Take into consideration the time you need to arrive on spot, and always add enough time for delays and other problems that could crop up, such as finding parking or getting lost if you are heading out to an unfamiliar destination. Add some extra time if you have toddlers. You are probably aware that unexpected situations are likely to happen on family vacations, so try to avoid drama for every little thing that might occur. When a vacation gives you lemons, stay positive and make a lemonade. For example, you're late for a bus to a museum? Well, OK. You're gonna take a walk in the city. You could find a cozy restoraunt to go to a dinner in the evening. 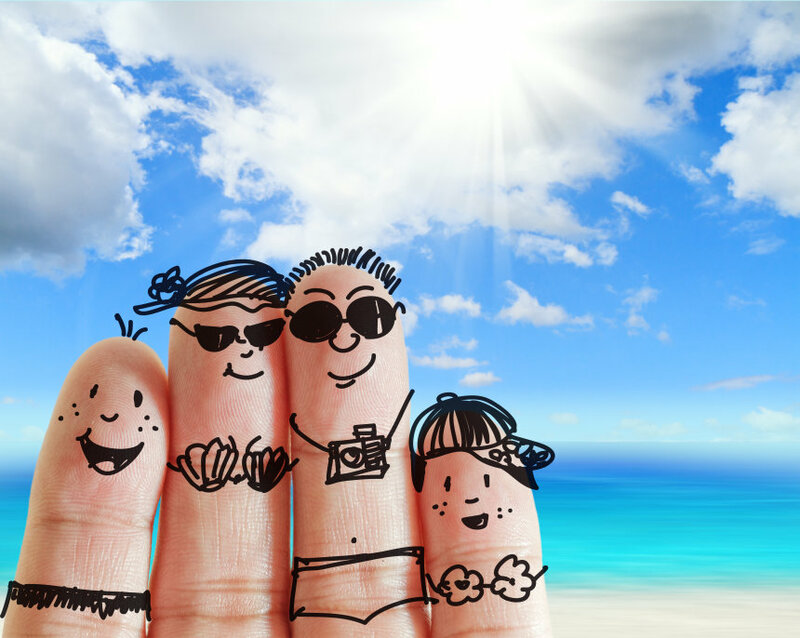 The ultimate advice for your family vacation is – relax and take your mind off all other things! Don't forget to have a break. What do we mean? Nowadays, seems like all of us don't understand the meaning of vacation. Holidays are not about the change of the environment and killing time in the hotel room watching TV and checking work emails. Vacation is defined as taking a break from your regular work or routine to relax. Have fun, enjoy the moment and take a break! At the end, don't wait for the last call, we are already looking forward to your arrival.